Synopsis: The Love Goals approach, which reportedly is helping many couples, is introduced and explained, along with answers to its critics, examples of how it is used and a step-by-step prescription for putting it into your bag of love tools for improving your love relationships. “Learning about setting and achieving love goals made our marriage twice as good as it was before and it wasn’t all that bad to begin with” said Mike, a ten-year married aeronautical engineer. 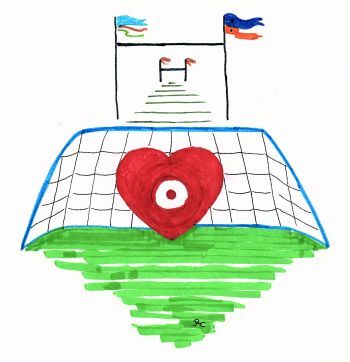 ”Susan, a 16 year married with three children, public health nurse told us, “Our family life and our romantic life both went to a whole new level when we started using the Love Goals approach. It’s such a great way to teach children how to love but it’s teaching us adults a lot too. ”Esther and Roberto both told us that using the Love Goals method was instrumental in saving their marriage, and Sophia and Jacob spoke of how having love goals got them through a very hard time. Larry and Terry related how using love goals got them into really knowing how to succeed at doing their love and not just feeling it. So, how would you like your love relationships to get you and yours similar, improvement results even if what you have now is really very good? If so, be curious and read on. Love goals are specific love giving, conveying, sending and demonstrating behaviors that people decide to make happen so that their love relationships will be more filled with healthy, real love. Stronger love, happier love, higher, broader and deeper love, bigger love, healthier love and more lasting love are all part of what love goals aim to achieve. Individuals, couples, families, etc. can use them to make love happen better, bigger and more often. Love goals can be as simple as deciding to say thank you more often and more sincerely than you usually do when talking to a loved one. Making a goal of giving a better good morning hug to a beloved with a loving look and loving words every day for a month would be another good example of a specific love goal. Love goals also can be a lot more comprehensive. An example are the couples who work with Paul’s New Testament, First Corinthians list of what love is and is not (love is patient, kind, not rude, etc.) and jointly create specific goal behaviors to put into their life. Here is a sample. “I will make a love goal to tell myself to act with loving patience and smile lovingly at you [spouse/mate name] whenever I think you are making us run late. I will do this instead of getting mad and critical which I now see ruins some of our time together for a while and just makes us even more late”. Those couples work their way through all of Paul’s 16 points making specific behavioral goals to implement each of the points. They report big improvements from doing so. In The Science of Happily Ever After, Dr. Ty Tashiro reports that couples who mutually make an inviolate rule to spend short periods of time together giving each other a “love fix” with words and touch every day no matter what else is happening, do far better at handling the rest of life and are physically, emotionally and relationally happier. Dr. Carla Naumburg, author of Parenting in the Present Moment, tells of research that shows having dedicated, behavior goals of brief, daily, child involvement (and in that time making love connecting actions occur too), it results in producing healthier, happier children and better parent-child relationships. Parents doing the same thing with each other also produce better parenting and better couple relationships. When couples freely and jointly act to achieve mutual goals aimed at making their interactive behaviors more love-demonstrative, their relationships can be expected to move up several levels no matter where those relationships start from. That is the conclusion of people working with the Love Goals approach. Most people start with abstract ideas for love goals like being more appreciative, a better listener, more affectionate, etc. That is good for a start but it is not going to help if you stop with that kind of broad concept that can be behaviorally enacted in too many, unspecified, different ways. Those abstract, broad ideas have to get converted into specific, or concrete, exact behaviors before they can become exactly enacted actions. Otherwise, they usually are just nice ideas that do not become goals that actually get achieved. If your goal is to be more affectionate and feel closer together, you both might have to decide something like: curl up in each other’s arms, on the couch, cuddling with each other, saying only words of love, for 15 minutes, allowing no distractions or interruptions, between 7:00 and 7:30 PM Monday, Wednesday & Friday, every week for eight weeks before you evaluate the results of your love goal actions. If this is mutually decided and agreed upon, that is an example of a well stated love goal that actually might get accomplished. You also will need a way to calendarize, tally and track your love goal actions. While you are at it, make it fun and enjoy it! That is an example of what it takes to make a behavioral goal that is sufficiently clear enough to be mutually understood. By the way, it also is good to add an alternative date and time if a cuddle time gets missed. Then if you add an additional reward for accomplishing your goals, it is even better. Without those kinds of specifics, most couples and families find their efforts just fade away and their love goals are not reached even though they were sincere about setting them. In families, kids especially need these kinds of specifics in order to keep their parents on track for goal attainment which is something they are prone to do when they get really involved in love goal work. That also is something a lot of kids are prone to do too in our experience. “Why do we have to do all that?” “Don’t we know we love each other and isn’t that enough?” “Isn’t love just done automatically?” “Doesn’t making it such an organized thing take all the fun and magic out. ?” “Who has time for all that?”– These are among the criticisms leveled against the love goals approach. The answer for all those questions goes like this. Love works like a healthy, nourishing food. Just think of all the purposeful, planned and organized disciplined effort that goes into getting good, healthy food from what mother nature provides all the way to fueling your own health and well-being. It is the same for love. Love takes behaviors to grow it, deliver it, skillfully prepare it and the actions of partaking of it. Both food and love do not just automatically keep showing up in your life. Somebody has to DO a lot of stuff to make that happen. The better you can skillfully DO the actions involved, the better both food and love are. The less you do, the more the quality and the quantity are likely to suffer. A young client of mine once said, “I’ve learned it’s like when I don’t do enough about love, love doesn’t do enough about me”. Here is our prescription for putting love goals into your life and using them well. Start by reading our site’s “The Definition of Love”. Then read the mini-love-lessons that have to do with the major behaviors found to convey love “A Behavioral (Operational) Definition of Love” . After that, preferably jointly, decide on which of the eight categories of direct love behaviors you both might want to start with. Then choose a single, exact set of actions to take that likely would improve the way you and your love partner show each other love. Remember to decide where, when, how often and for how long (at least a week and preferably several months) you will work as a team to practice putting that love action into your life. Be sure not to avoid having an end date for your goals so that they do not just fade away and so that you have a chosen time to evaluate your progress. It is then you decide to keep going or not, or what changes to make in your goals. Here is another way to go about using love goals for growing and improving a love relationship. Together pick any area of your relationship that you both would like to see get bigger, better, stronger, or occur more. Or you can, pick a more specific something that you just happen to want to be different than it is. Then make your choice as to what exact actions you will take to go toward your love goal as described above. You can look at things you might like to see happen less or not at all. However, then you will need to choose what exact actions you will use to put something else in its place. Without replacement actions, it is very hard to stop whatever has been happening and which may have become a habit. Even then, it may be a back-and-forth battle between old habit behavior and desired new replacement love goal actions. You can do all these things individually, even secretly, but usually it works better when your love goals involve a team effort. Of course, having individual even secret love goals is not at all a bad thing. After all, this is about being more loving – and that’s a very good thing. Lots of couples, families and friends use regular love goal meetings to help themselves keep benefiting from the love goals approach. Others keep coming back to it every so often more irregularly. Either way, see what you might want to do with purposefully putting love goals into your awareness and into your life. Help spread love knowledge – tell someone about this site! 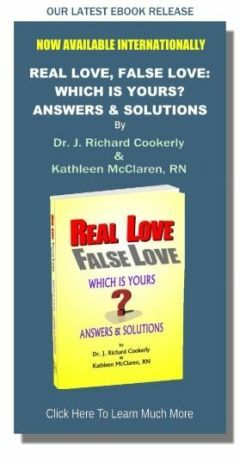 ♥ Love Success Question: How exactly might you want to, or need to, become more loving and thereby become more lovable? You might also want to read: “The Definition of Love”, “A More Ample Definition of Love”, “Behaviors That Give Love – The Basic Four”, “How to Make Love Improvements Permanent” & “Learning about Love Together”. Also for the best description of the eight classes of behavior that directly show love, see Chapter 5 How Do We Grow Intimate Love, Chapter 6 How Do We Make Love Really Show & Chapter 7 What Connects Your Love with Mine in my book Recovering Love.